Can Southwest Airlines extend my ticket credit? I have cancer. Tammy Davies wants to know: “Can Southwest Airlines extend my ticket credit?” After all, she’s recovering from cancer. Posted in Should I Take The Case? Tagged CANCER, SOUTHWEST AIRLINES, SOUTHWEST AIRLINES EXTEND MY TICKET CREDITLeave a Comment on Can Southwest Airlines extend my ticket credit? I have cancer. Her trip is cut short by a cancer diagnosis, but what about these sky-high change fees? Posted in The Travel Troubleshooter Tagged AIRLINE REFUND, BRITISH AIRWAYS, CANCER, CHANGE FEES19 Comments on Her trip is cut short by a cancer diagnosis, but what about these sky-high change fees? I should probably help this guy — so why am I having second thoughts? On any other day, I wouldn’t hesitate to help Michael Lazares. But after last week, I’m not sure if I should. You remember what happened last week, don’t you? I was slammed for helping two helpless consumers. It wasn’t fair, according to the critics. So tell me what I should do with Lazares. Posted in Help Yourself Tagged CANCER, NCL, REFUND59 Comments on I should probably help this guy — so why am I having second thoughts? No refund for a sick passenger? After Merrill Hakim is diagnosed with lung cancer, she asks her airline for a refund on a non-refundable ticket. But is that allowed? Question: I have tickets on Aer Lingus to fly from Dublin to Paris. I was diagnosed with lung cancer a few weeks before we were due to leave. I had no problem getting a refund for our transatlantic flight with United Airlines, but Aer Lingus was only willing to refund the taxes unless I could reschedule within 30 days. Given the situation, that was not possible. They said the ticket would still have been good until the end of April, which is when we bought them, but who can make a commitment at a time like this? 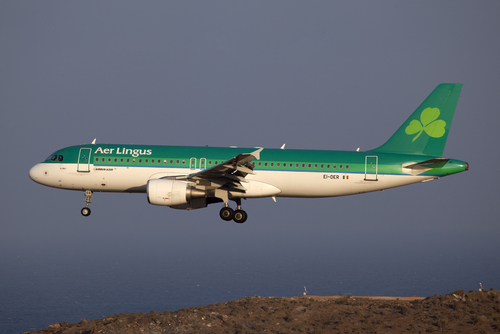 Posted in The Travel Troubleshooter Tagged AER LINGUS, CANCER, REFUND167 Comments on No refund for a sick passenger? Ben Coleman and his wife were supposed to fly from New York to Oakland last November on US Airways. The couple had purchased nonrefundable roundtrip tickets on US Airways for just under $1,000. But in October, Coleman’s wife was diagnosed with cancer. That’s when things got a little complicated.